Rob takes a moment to chill. This easter I took the opportunity to visit the Lofoten Islands up north with a group of friends. 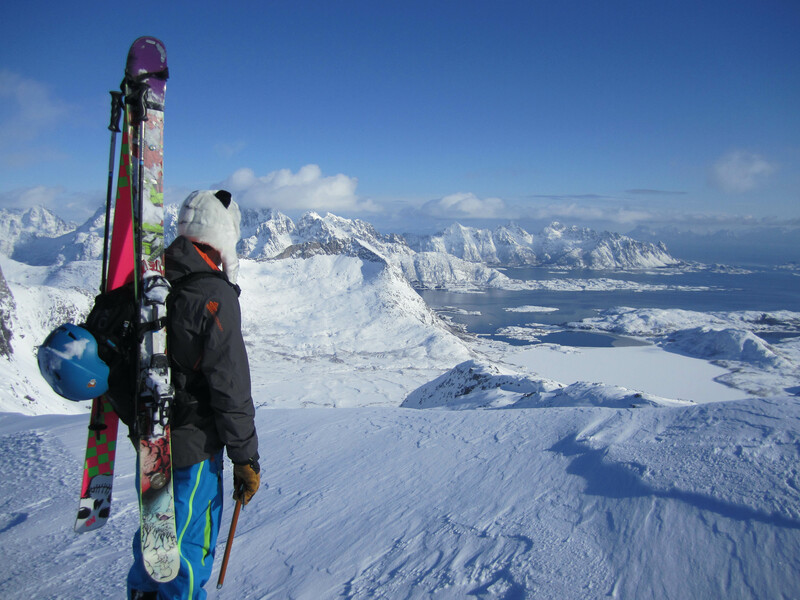 This is a premium ski destination but I was not sure why, so a trip to find out was in order! The weather breaks after surprise evening powder. In the spirit of the DIY series, this post aims to let you experience lofoten as a ski destination without needing to pay huge amounts for a commercial option. I would say however, that more so than other destinations the mountains here are pretty gnarly and the weather changeable. 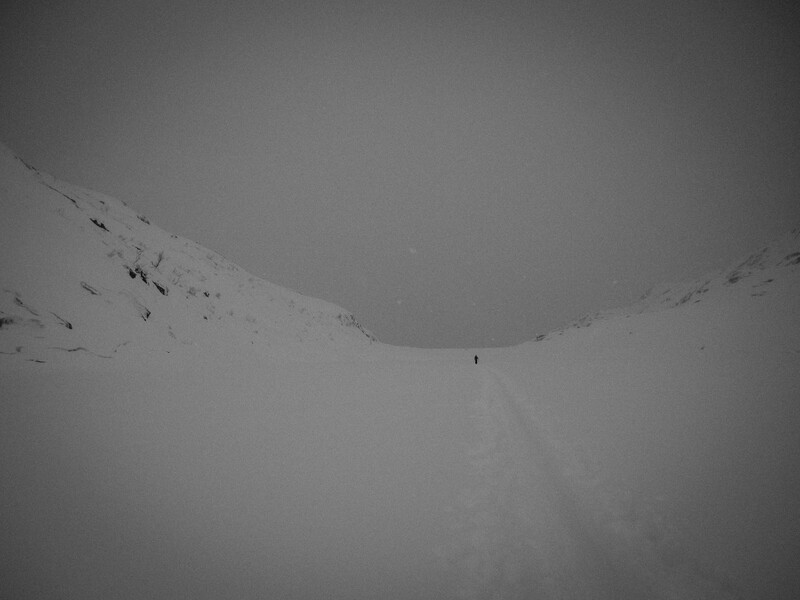 So its not really a place for your first ski touring trip. If you consider yourself inexperienced, consider hiring a guide as this might improve the quality of your holiday. We took the hurtigruten from Trondheim to Svolvær with the car. Despite being extremely slow compared to flying this method of transport turned out to be chilled and well recommended. It can likely be expensive in the summer season but they often have deals in the ski season. 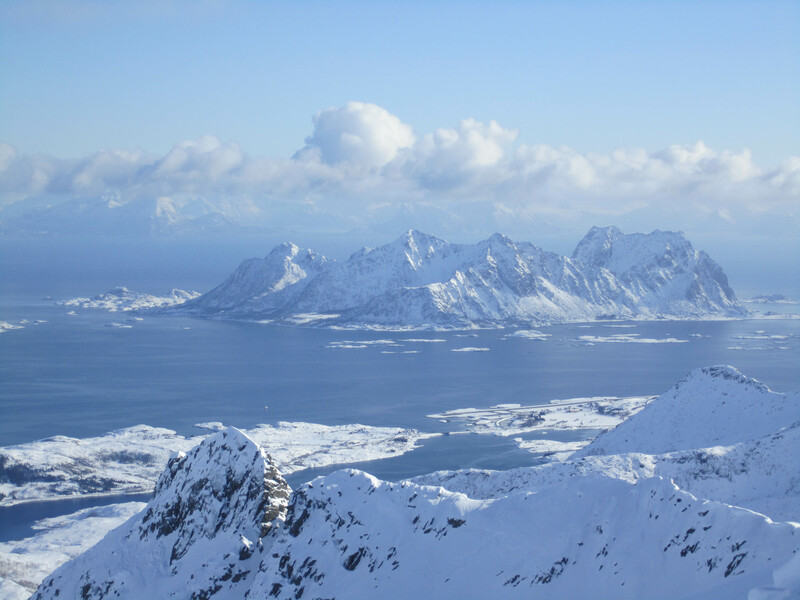 If you are coming from abroad either attempt to fly into Svolvær or a cheaper option may be to fly to Bødo with SAS or Norwegian . 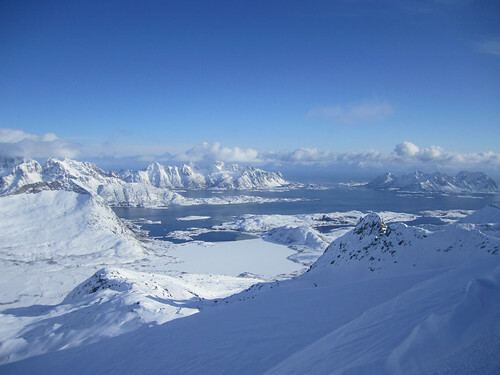 You can then get a fast ferry direct to Svolvær, the recommended base. 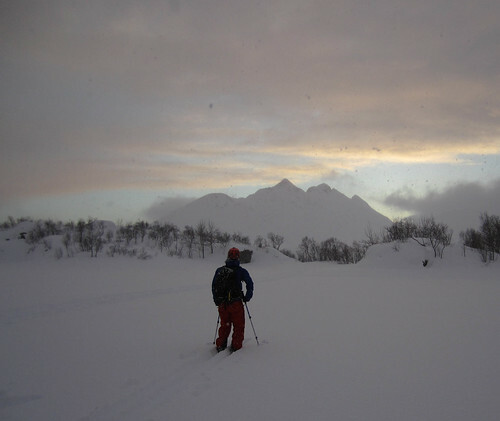 We stayed at lofoten feriesenter which was quite good, with OK prices and good local ski touring possibilities. And also close proximity to the local ski resort if you want some powder laps to the avalanche danger is high. It was not amazing however, so if you want something unique or high class, maybe look elsewhere. Best bet is to look at the guidebooks and decide what is a good plan based on conditions. 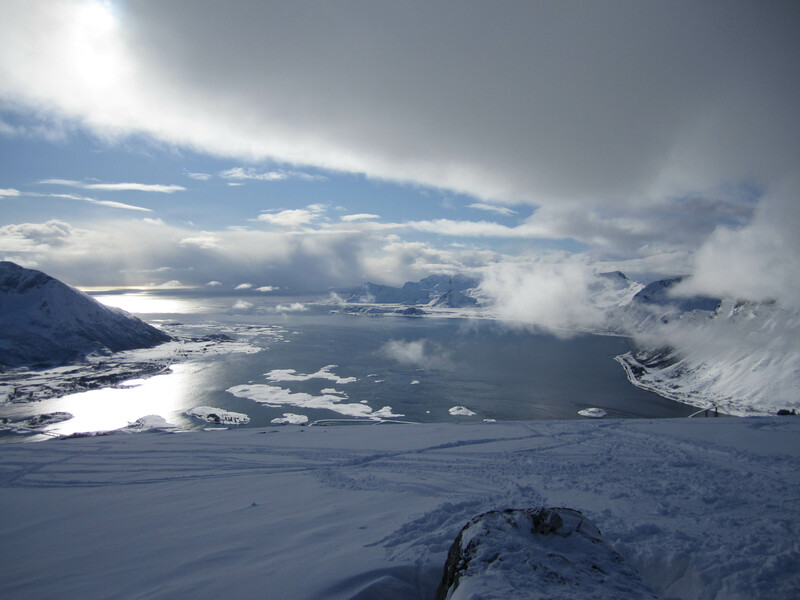 As your trip progresses work out which aspects have the best snow and continue to hit similar aspects! The map is also a good place to get inspired.. have a look at the map and go where looks good! However, avalanche danger can be very high mid season so take the precautions necessary. varsom.no is the norwegian avalanche forecast site which is worth looking at. Be aware however that often the forecasts and dangers are forecast by the use of weather models rather than on the ground checks / forecasting. This means that sometimes the snow is safer than is forecast and other times it can be more sketchy. Assuming stuff is good to go the following peaks might be worth your attention. I put together a wee video of the small amount of footage I captured during the trip. 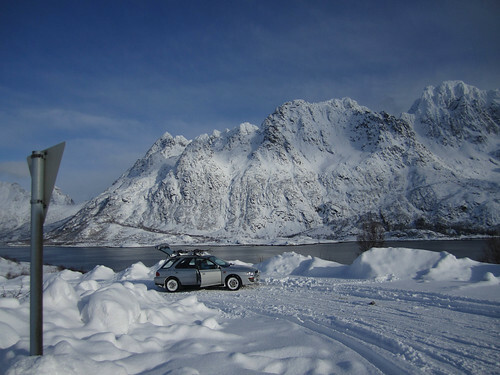 Lofoten Påske from Alastair Brunton on Vimeo.